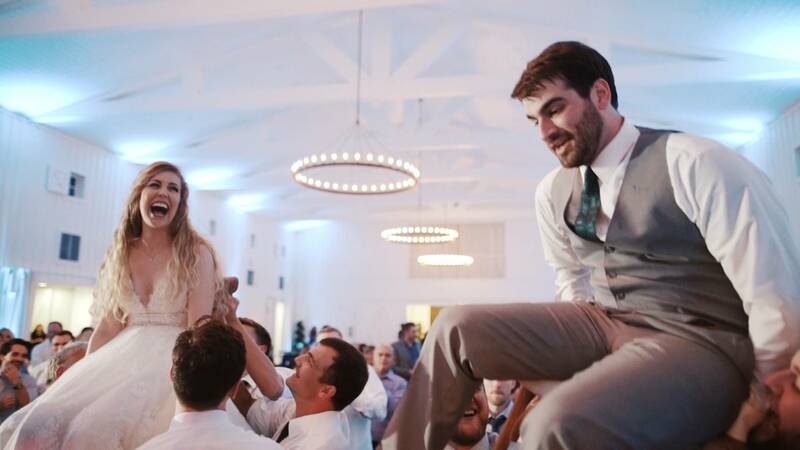 Bride plays drums while groom dances with whale! A talent show and wedding in Houston Texas. Years of driving buses for A&M gave him the ability to drive 13 hours straight without stopping if necessary. He’s such an un-picky eater that he will go into a restaurant and tell the server to order something for him. Unlike normal humans, 3 hours of sleep is plenty for him. At this point, I realize this blog is starting to sound more like an ad for Dos Equis’ Most Interesting Man In The World™, and not a groom from a wedding I filmed. Well strap in, because I haven’t even gotten to how Adam and Christine met. On a humid week in August at the University of Texas Medical Branch in Houston, Texas, Christine made the decision to attend a talent show. Little did she know, that Adam would be performing a special dance at the show, with an inflatable Killer Whale. No water required, just him, the whale, a stage, and some paper streamers. Christine laughed so hard she cried, and while I would like to think she knew that she had to marry this guy, she says she was more interested in only meeting him. That meeting eventually happened, time spent together turned into friendship, and friendship culminated in a date together at Trampoline World (with pizza). 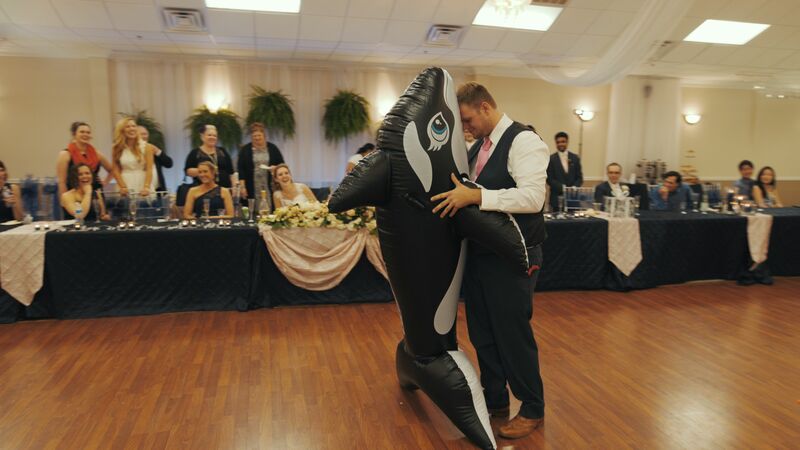 One year later Adam proposed, and yes, the inflatable whale made an appearance. When Adam got back in touch with me about filming their wedding, he said they had a few surprises planned for their guests. First, the wedding reception would be Llamma themed. Second, there would be a talent show that mirrored the night they met. Third, they would be leaving in a bright yellow Smart Car the size of a go-kart. As promised, after a beautiful ceremony on the University of Houston Campus, the reception began with a surprise Llamma Cake, continued with a sweet drum solo by Christine (barefoot in her wedding dress of course), a classic rendition of Adam’s inflatable whale dance, and ended with a crazy dance party courtesy of DJ Chaney. Was it a wedding day? Yes. Was it also a talent show? You bet. 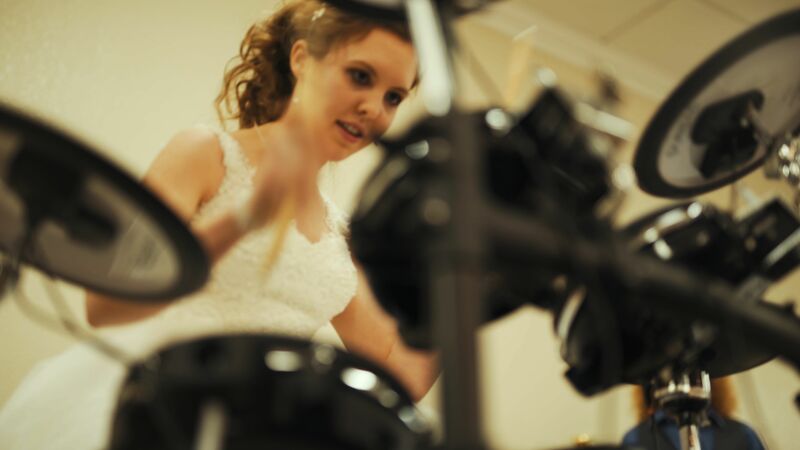 Interested in having us film your wedding/talent show? Get in touch! It’s always fun filming the wedding of a couple I’ve known for years. I met Paul at Texas A&M years ago, but it wasn’t until late 2014 that we reconnected. I was sitting in my church in Dallas when I saw him across the room and we made eye contact followed by amazing faces at each other for the next half hour. Since then, Katelyn and Paul have both become good friends to me and Rachel. Now there are a few things you do need to know about this couple. First, they say that Rachel and I are “too hipster” for them, whatever that means. But if we are too hipster for them, then they are definitely too FUN for us. They travel, are super competitive with one another, they love board games, and are into Pokemon Go (which I would argue is important for any relationship). Rachel says we have a couple crush on them, and I would agree. Katelyn and Paul also share an incredible love for Jesus, and they chose to make Him the center of their wedding day. He was present in their prayerful notes, sweet vows, worship during the ceremony, and exuberant reception celebration. Their love for the Lord is reflected in their love for each other. 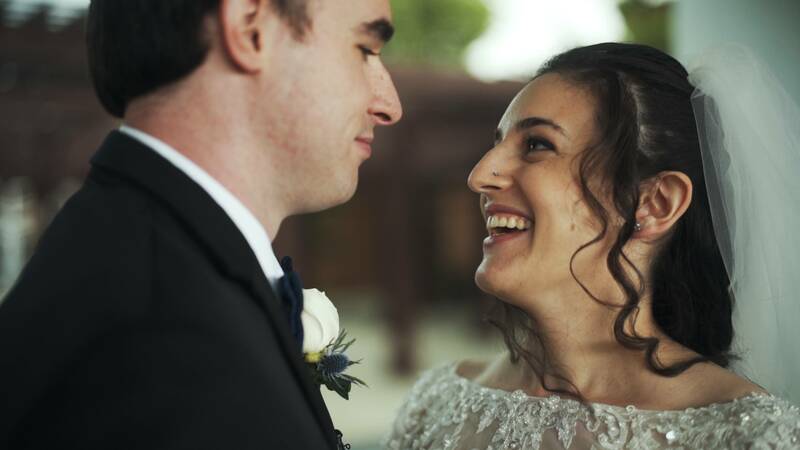 Rachel and I are so thankful we were able to film their wedding, and even more thankful for their friendship. If you’re reading this guys, we need to go play more Pokemon Go soon. 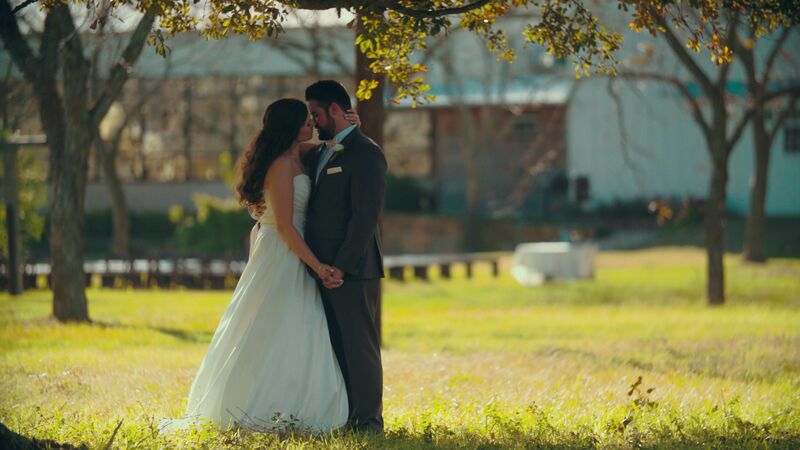 If you’re getting married and would like us to film your wedding, please reach out! We would love to talk to you.